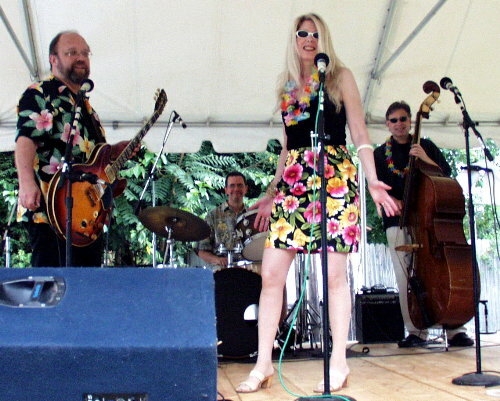 Dagmar and The Seductones are pleased to count Ira Gitlin in their Super Support Group. 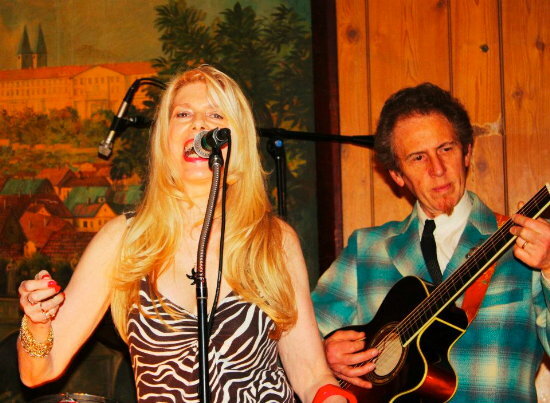 One of Washington, DC's best known instrumentalists, he has performed with the band on both upright bass and guitar; most recently playing with Dagmar and The Seductones at the Buddy Holly Tribute on February 2, 2013, pictured above with Dagmar. Chris Watling has played professionally in the Washington, D.C. area since 1986. Musical styles include Jazz, R&B, Blues, Latin, Rock. Look forward to hearing Chris on COME BACK TO ME Dagmar and The Seductones' newest CD, released March 2007! Since 2003, multi-talented Dave Kitchen has been a frequent performer with Dagmar and The Seductones, adding his rocking Telecaster and vocals to the sound. Dave is a published songwriter and has written and performed music for television and film (Wild Iris). He teaches guitar and produced a debut CD by American Song. Dave has been nominated many times for Washington Area Music Association (WAMMIE) awards, including best Roots Rock Vocalist and Musician of the Year-2001. Look forward to hearing Dave on COME BACK TO ME Dagmar and The Seductones' newest CD, released March 2007! 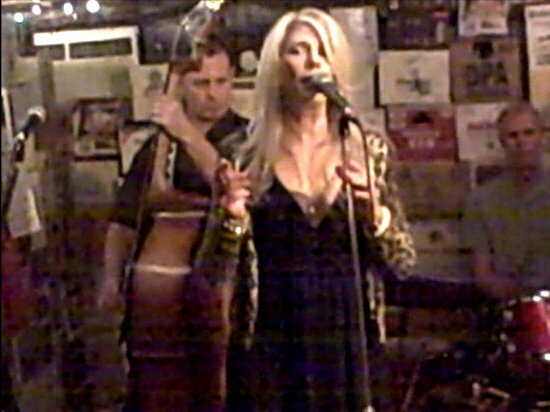 Dave Elliott is featured on Dagmar and The Seductones' debut CD, Little Bitta Love. In the late '60's, Dave was the house drummer at Earl Dixon's Hillbilly Heaven nightclub. In April 1972, Elliott joined Danny Gatton's new act and, along with Billy Hancock, Danny and the Fat Boys were born. The trio stayed together for much of the '70's, playing clubs, traveling, and recording. 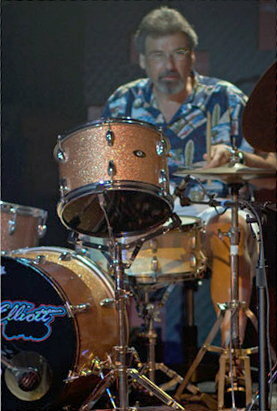 Elliott performed with Danny Gatton for a total of 18 years. 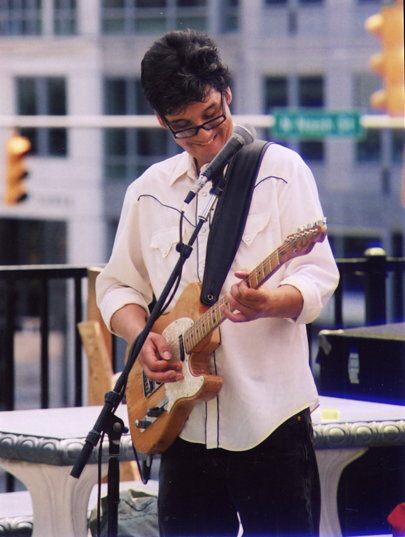 Dave has also been associated with the bands of Les Paul, Hot Tuna, Bill Kirchen, Johnny Seaton, and others. His drum style is best described as effortless. His inimitable off-beat hi-hat cymbal has eaned the respect of drum giants Jim Keltner (The Traveling Wilburys, Little Village, etc. ), Max Weinberg (Bruce Springsteen, Conan O'Brien), Omar Hakim (Saturday Night Live). Arthur Barry is an honorary Seductone. He has worked with many DC-area blues/jump combos and is well known for his animated presence. He is a serious fan and collector of jump-blues and R&B records. His keyboard work appears on Little Bitta Love. His credits include composing video and film scores.�He also collects exotic, vintage musical instruments from around the world. Nick Borek plays lead and rhythm guitar. 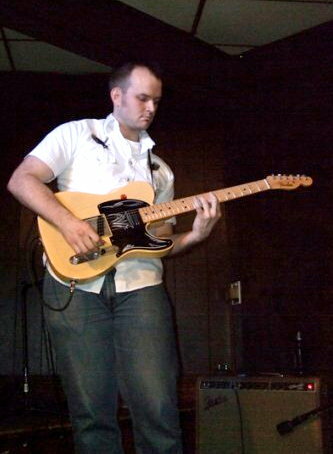 He has been performing with Dagmar and The Seductones since Spring 2009, bringing his twangy Telecaster energy to the band. 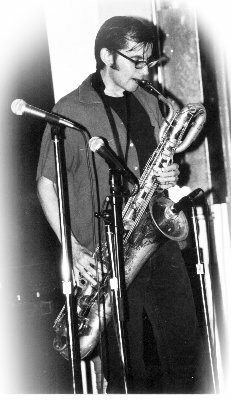 Jeff Lodsun has performed with Dagmar and The Seductones many times. He also performed with Dagmar in her first band, The Kokomo Mojos. As one of the busiest blues and swing drummers on the East Coast, Jeff has played thousands of gigs over more than 30 years and worked with many big acts including Bo Diddley, Hank Ballard, The Clovers, Pine Top Perkins, and Sunnyland Slim. His credits also include recordings with the J St. Jumpers, Tex Rubinowitz, Billy Hancock and many others. 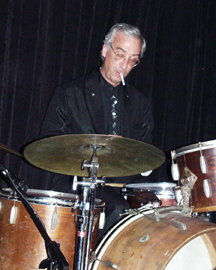 His unique drumming style is reminiscent of Gene Krupa and other jazz greats of the 20th Century.